It sports a glossy finish polycarbonate body with gradient finish and curved edges. The Galaxy A70 offers a huge 6.7-inch Infinity-U Full HD+ display, which has a tear-drop notch like the OnePlus 6T, and a 20:9 aspect ratio - just shy of Sony's Xperia 10 Plus's tall 21:9 ratio. The smartphone comes in four colour options - Coral, Blue, Black and White. 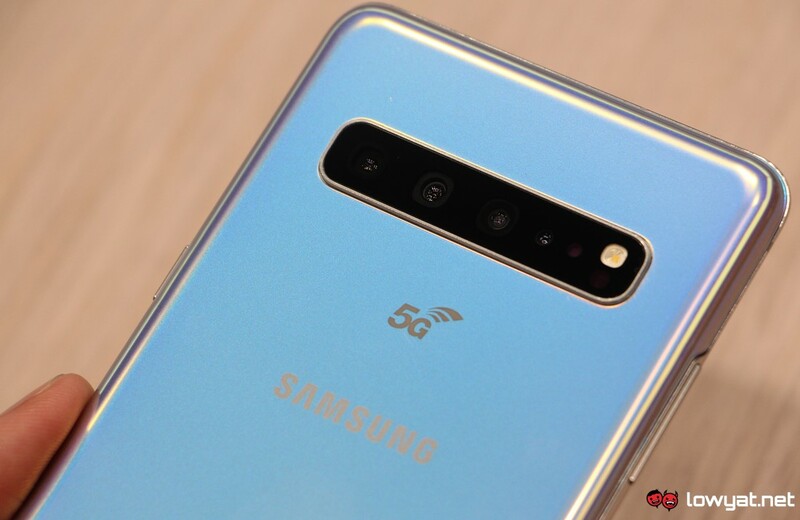 While Samsung does not mention the SoC being used in the Galaxy A70, it does say it has an octa-core processor (in a 2.0GHz dual core + 1.7GHz hexa core configuration). The Galaxy A70 packs a 4,500mAh battery with support for Super-Fast charging at 25W. There is no word on the chipset, but the phone comes with 128GB onboard storage, and two RAM options - 6GB and 8GB. The rear of the device houses a 32MP primary sensor with f/1.7 aperture which will enable the users to capture bright shots, there is an 8MP ultra wide sensor and a 5MP depth sensor which allow users to adjust the depth of field to focus before and after taking a shot. The South Korean company has not revealed the pricing or availability of the A70 but will unveil more on April 10th during its 'A Galaxy Event'. The volume and power buttons sit on the right edge of the phone. On the software front, the Galaxy A70 will run Android 9 Pie OS with One UI skin on top. The phone comes with an in-display fingerprint sensor (though it isn't clear whether it's optical or ultrasonic) and facial recognition, measures 164.3x76.7x7.9mm, and includes Samsung Health, Samsung Pay, and Bixby. Stay tuned on PhoneRadar for more details!